First steroid cycle can be and must be simple. One of the options is testosterone cypionate. I know many recommend enanthate but listen they are almost the same so just get whichever you have access to. Also well known is similar cycle where Dbol is used as a kickstart for the first 4-5 weeks. That is also an option and it works as well. However today we will talk about simple and cost efficient option – 10 weeks testosterone cypionate cycle at 1ml/week. So why Cypionate? 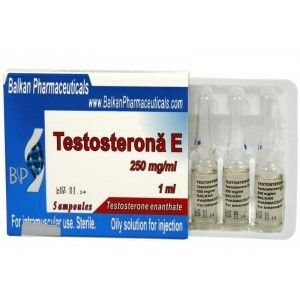 Because it is a long acting steroid ester and you can inject it once per week which is good for beginners. Generally speaking people are afraid of injections so not having to inject often may be a good thing for most. Why 10 weeks? Because that is enough to get a feeling of how it works, how your body reacts to it and in the same time most important get results. Why 1ml/week? Because that is a good dosage to keep sides low and still get results. Remember golden age bodybuilders? They looked great and live long and they used moderate dosages. Many modern bodybuilders forgot about moderation and that is not good for many reason. Ok, enough talk here is 10 weeks first steroid cycle with testosterone cypionate.